Being one of the first partners to launch with Docker integration, we are sure the compatibility the service can adapt to is now enormous. 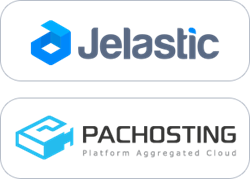 Jelastic, Inc., the first company that introduced a new degree of freedom in the cloud with containerization for DevOps, has announced their partnership with PacHosting, a leading hosting provider based Hong Kong. Analysts forecast that the IT market in Hong Kong will grow at a CAGR of 7.60 percent over the period 2014-2019. Thriving popularity of cloud computing is one of the dominant trends appearing in the market. A large number of small and medium enterprises in Hong Kong are steadily experiencing the benefits of embracing this technology. Some of the advantages associated with cloud computing include flexibility of IT processes, long term economic scale, access to data anywhere and anytime, and a reduction in investment on IT infrastructure, among others. A boost in government incentives to back the growth of IT in the country are one of the considerable drivers of the market. The government has offered a number of initiatives, which are creating a positive influence in the IT market in Hong Kong. The ingredients of cloud service offerings are ever changing and are driven by customer expectations over time. Jelastic Cloud has provided PacHosting with a new way to deploy services for DevOps with simple navigation on its intelligent dashboard, where you can perform one-click deployments on the entire application stack and even load balancing and high availability setup, without starting from scratch. There is a growing demand in digital campaigns, which favor a fast time-to-market schedule and flexible billing. The rapid deployment and usage based billing design of Jelastic works well to fill in this huge niche. “We have been successfully engaged in an IaaS business model for many years and we are ready to introduce the platform service to Hong Kong and Mainland China IT sectors. Jelastic helped us to extend our product offering to PaaS, which brings us a new sales stream with a brand new demand edge. Being one of the first partners to launch with Docker integration, we are sure the compatibility the service can adapt to is now enormous,” said Natalie Kong, PacHosting CEO. PacHosting is a leading hosting service provider based in Hong Kong. With a strategic focus on fast paced product development in integrating cloud technology benefits to service offerings, we have exceptional experience in commoditizing various infrastructure-based technical edges to provide mainland China network route and SSD Storage options to customers. PacHosting offers Cloud Servers Virtual Machine, Virtual Datacenter Solutions, Bare Metal Cloud and Managed Server Solutions to startups, small and midsize businesses, government agencies, and major listed companies across Asia Pacific, Europe and the rest of the world. Jelastic, Inc. is the first company that introduced a new degree of freedom in the cloud with containerization for DevOps. Jelastic is a venture-backed enterprise software company that enables hosting service providers, systems integrators, enterprises and OEMs to unleash the full potential of the cloud to generate superior ROI and efficiencies. Investors in Jelastic are Runa Capital, Almaz Capital and Maxfield Capital.